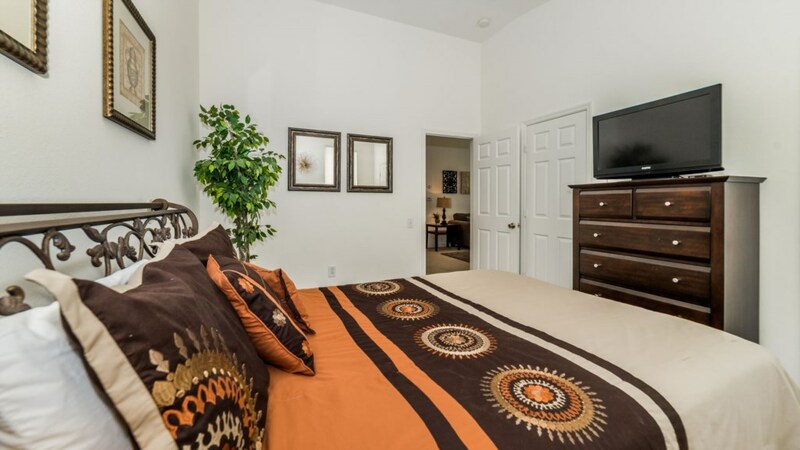 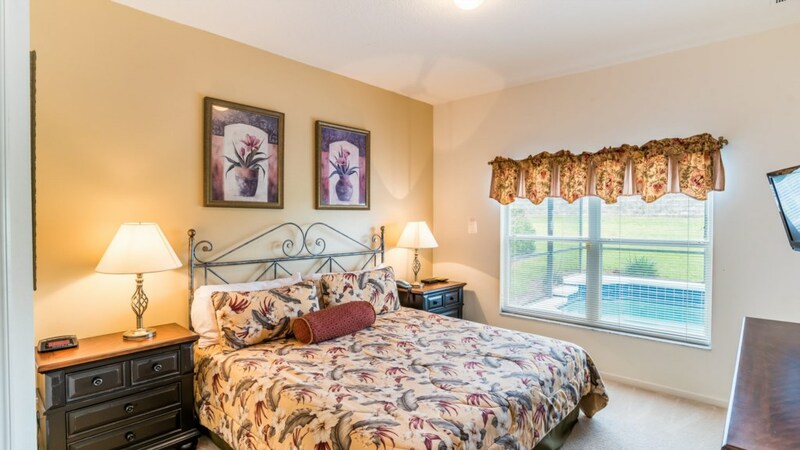 Sunrise Sunset Villa is nestled less than 3 miles from Walt Disney World in Kissimmee, Florida. 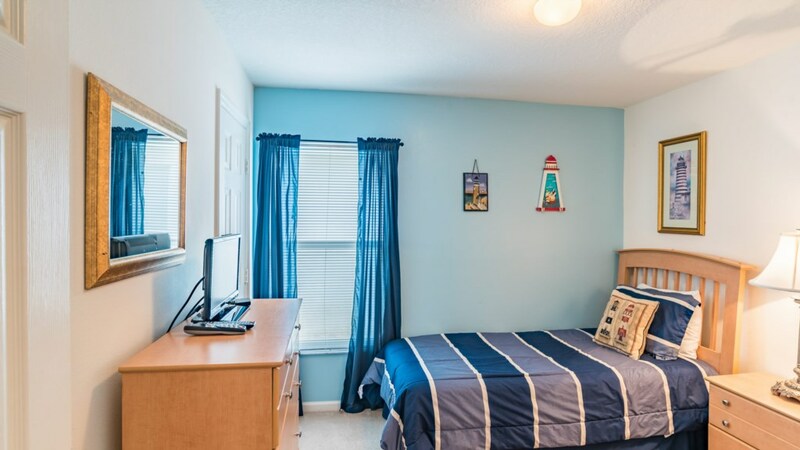 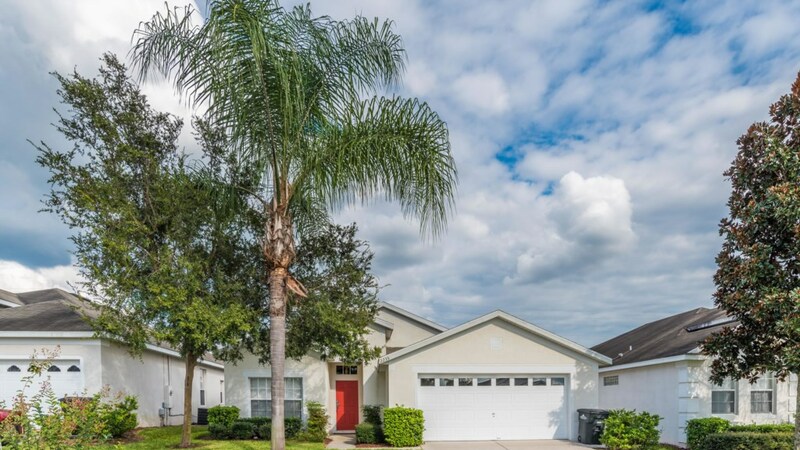 With 4 bedrooms and 2 bathrooms, this fully air-conditioned, elegant, professionally decorated, luxurious Orlando vacation home is perfect for family groups, sleeping up to 10 guests. 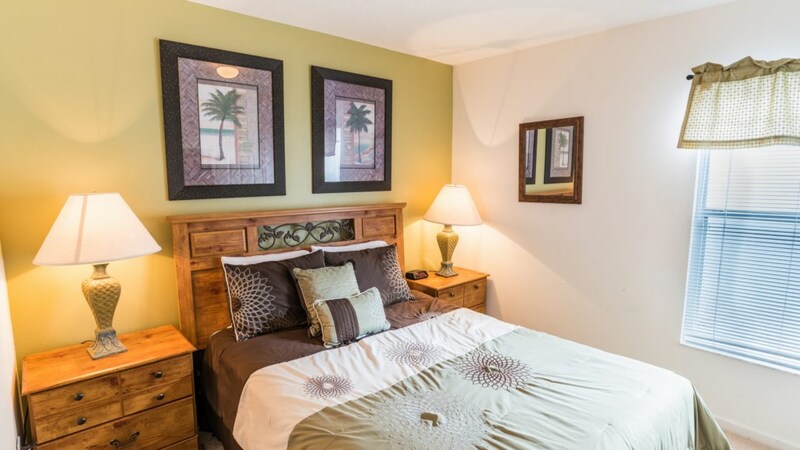 Sunrise Sunset Villa provides all of the benefits of your own home while on vacation, with added enhancements of the Windsor Palms resort club house. 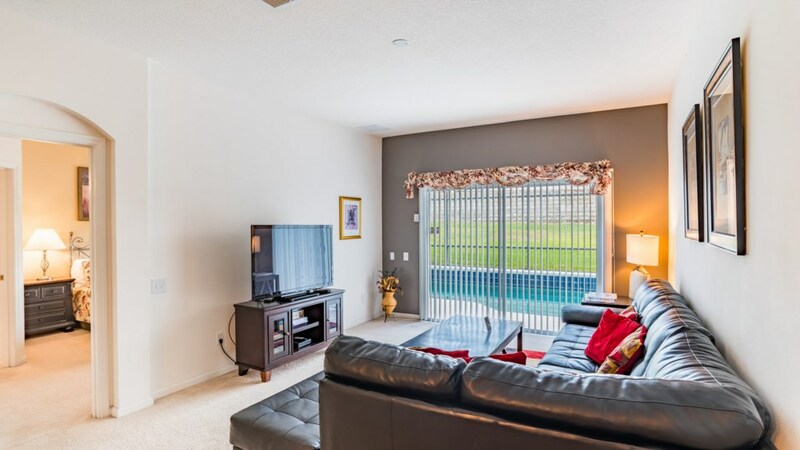 Sunrise Sunset Villa has a living room with sumptuous furnishings to relax in during the day or evening, with upgraded sleeper sofa, love seat, chair and occasional furniture, a 36-inch cable TV, VCR, DVD, and stereo surround sound system so you can watch your favorite movie, or listen to the music tht you love (you'll have to bring it!). 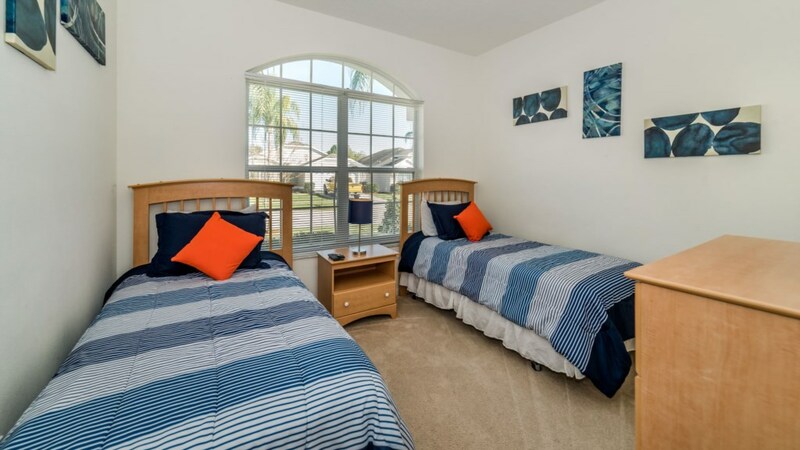 This spacious room opens out to the sparklingly clear pool and bubbling spa with cushioned deck loungers to relax in under the Florida sunshine. 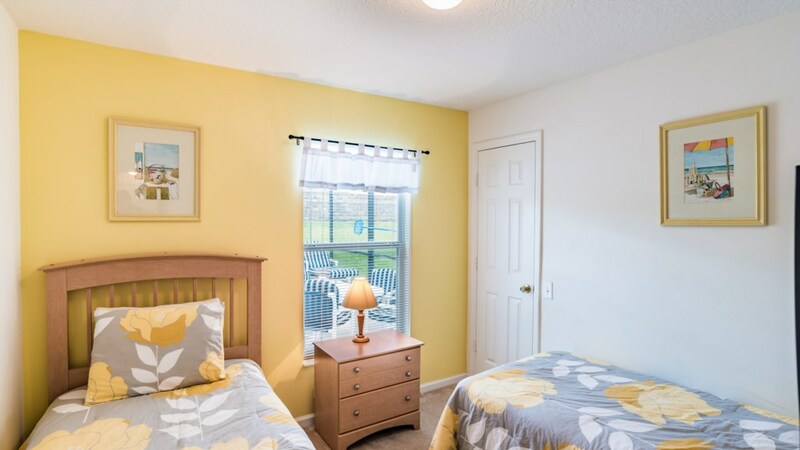 All doors leading on to the deck area have been provided with additional saftey locks and switchable alarms. 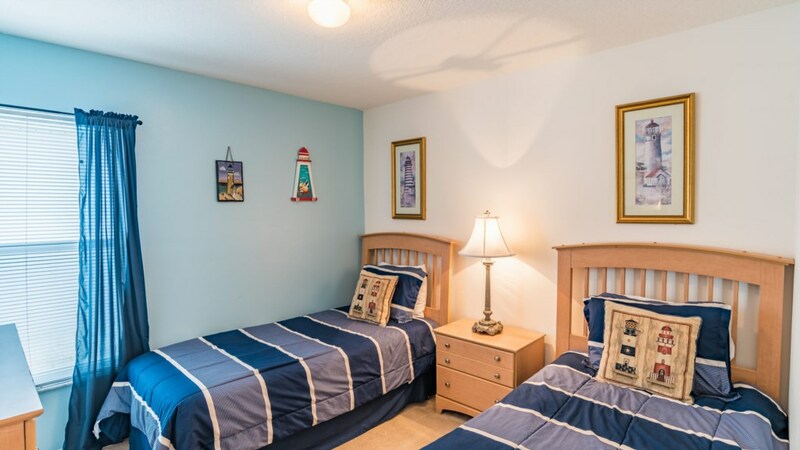 Sleeping accommodations at Sunrise Sunset Villa includes a master bedroom suite, with a superior comfort king size bed, cable TV and VCR, telephone, clock/radio, night stands with lamps, plus a master bathroom with vanity basin, shower/bath, toilet and walk in closet space. 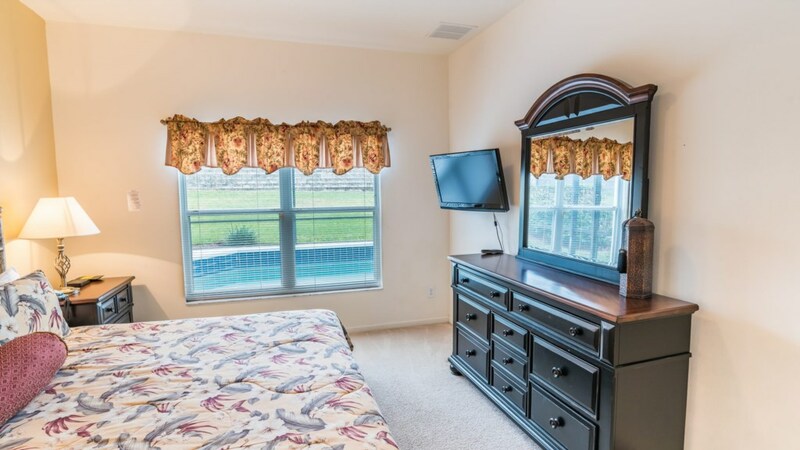 A second queen size bedroom provides blissful sleeping comfort, to help you wake refreshed for another exciting day at the attractions. 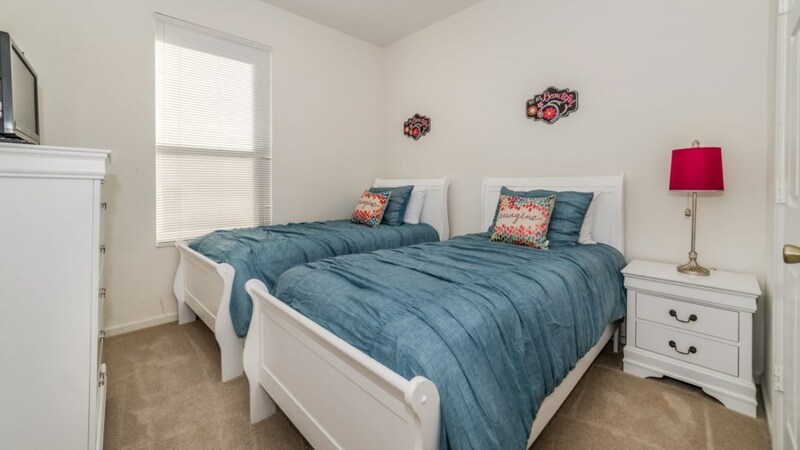 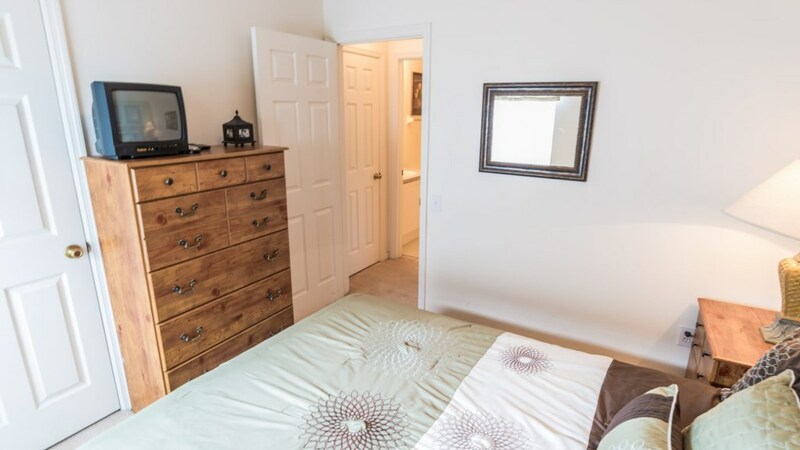 There are two further bedrooms, both with 2 twin beds, night stands, and closet space. 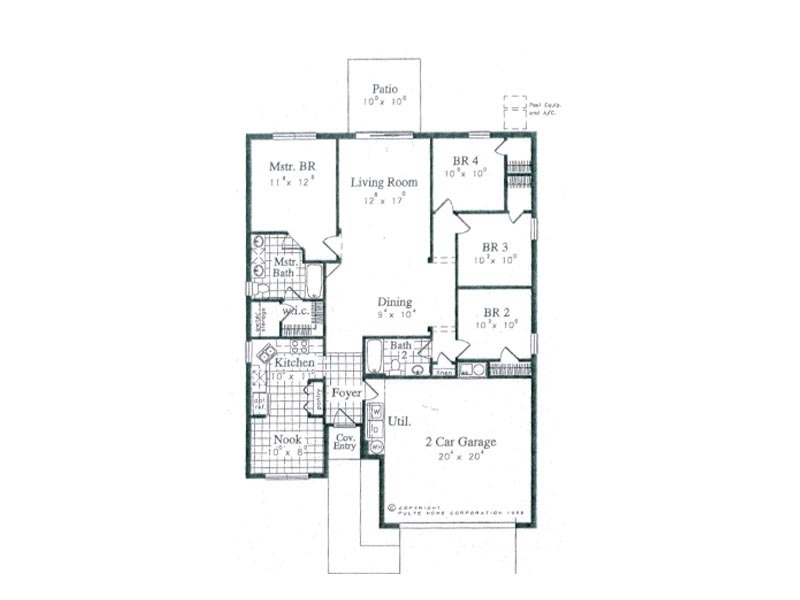 The 2 twin bedrooms and the second master bedrooms share the family bathroom. 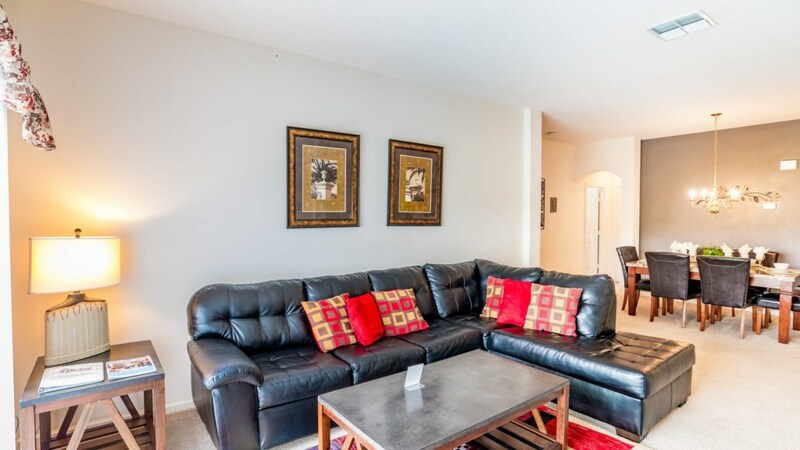 Finally the sofa in the family room can be converted to a sleeper sofa, if required. 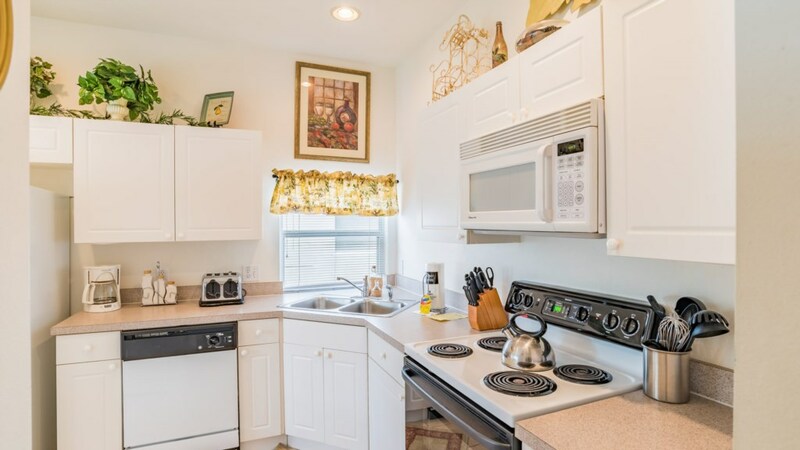 The bright and airy kitchen has been equipped with almost everything that you could need to rustle up that favorite family dish, or prepare a quick snack. 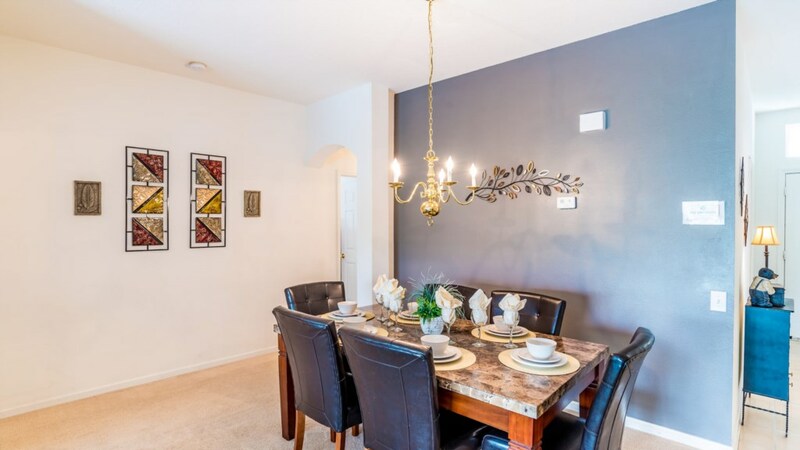 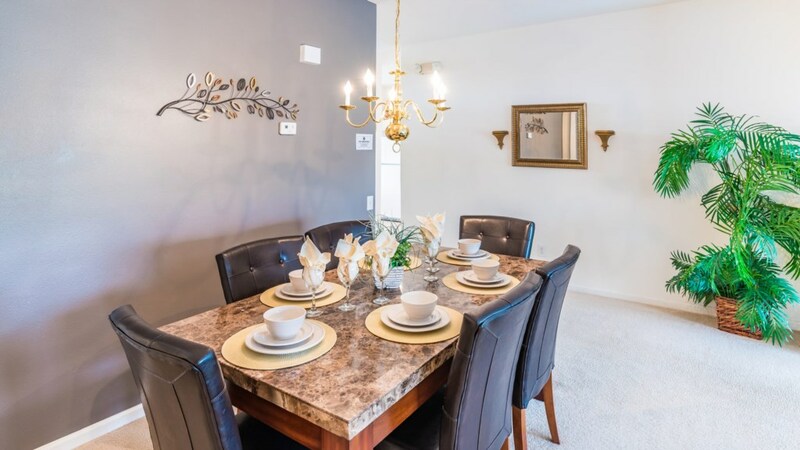 Choose to eat in elegance at the formal dining suite area, or enjoy a quick snack at the breakfast nook. 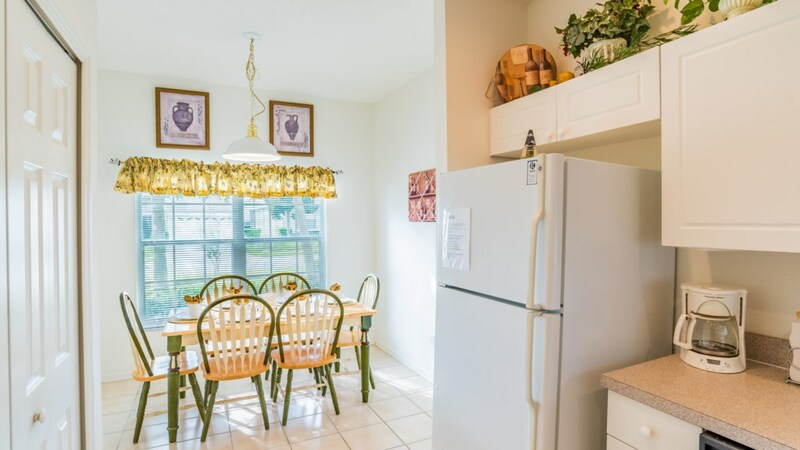 Don't want to cook?...when your family is this close to some of the best restaurants of Central Florida, you can choose to eat at a different place every night! 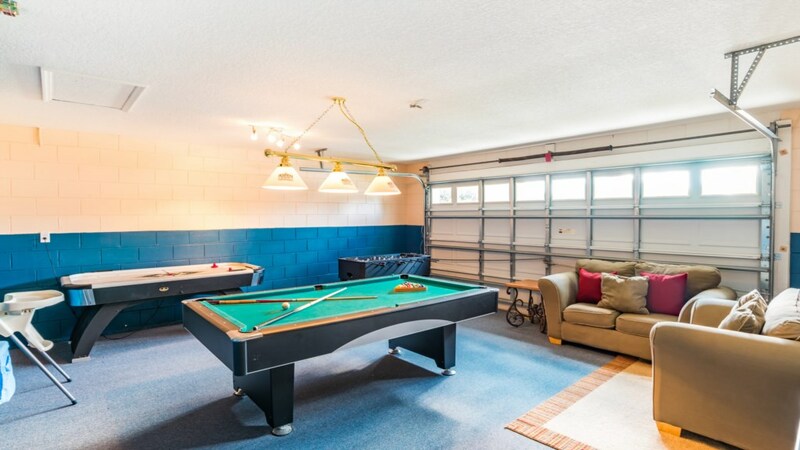 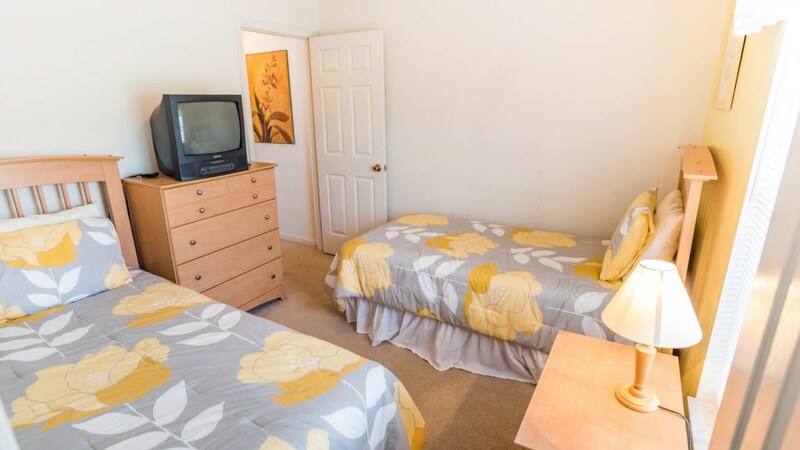 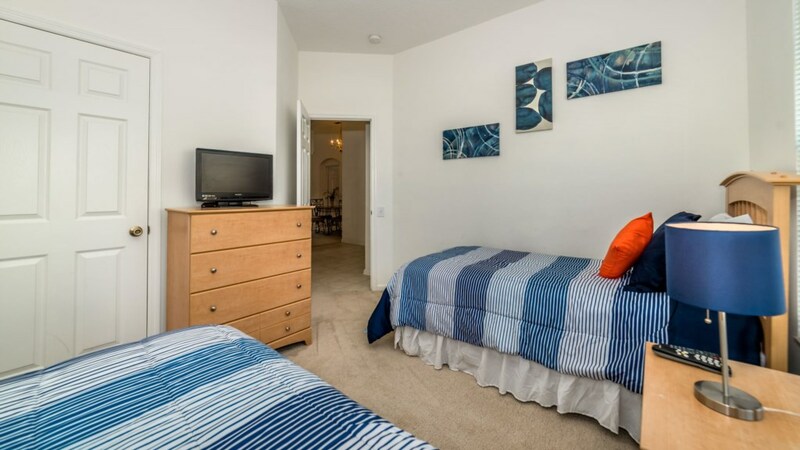 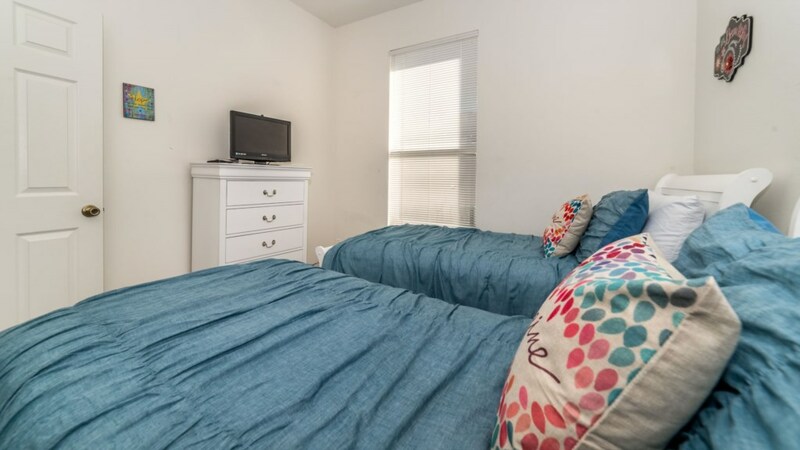 There is a fully equipped laundry room with a washer, dryer, and ironing facilities.